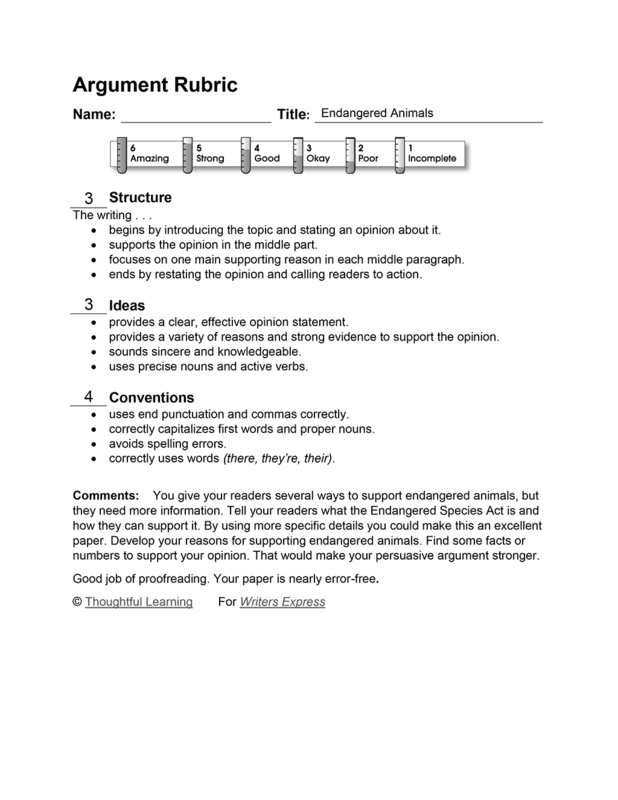 The sample persuasive essay takes a stand on protecting endangered species. I love animals, especially endangered animals, and that is why I support the Endangered Species Act. The animals are so beautiful and they have such unique personalities. There are some endangered animals that aren’t really close to extinction. Others, like the Golden Lion Tamarin, are very close to extinction. There are many reasons why animals are endangered. One reason is because of poachers (or people that hunt animals illegally) who kill an endangered animal for their teeth or tusks, skin or blubber, and for various other reasons to make money. It is very easy to support endangered animals. There is a brand of soap that you can buy to support them, as there are many other products available for purchase. The Endangered Species Act is a way to support the animals too. Have you tried supporting endangered animals? Endangered Animals by Thoughtful Learning is licensed under a Creative Commons Attribution-NonCommercial-ShareAlike 4.0 International License. Based on a work at k12.thoughtfullearning.com/assessmentmodels/endangered-animals.